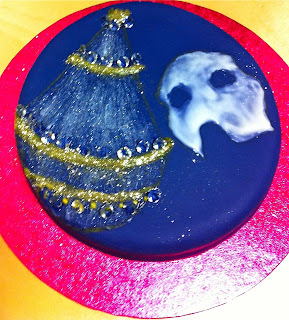 This phantom of the opera cake was made for a friend at work's 30th birthday - first time I had worked with edible gems; I like the effect. 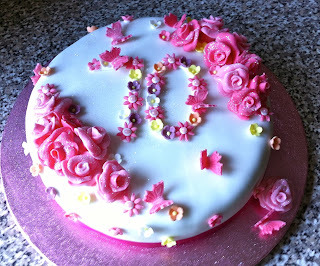 This one was for Mark's mum - very pink and glittery, but well received. Hopefully I will be back on form soon and will have more to post next weekend. 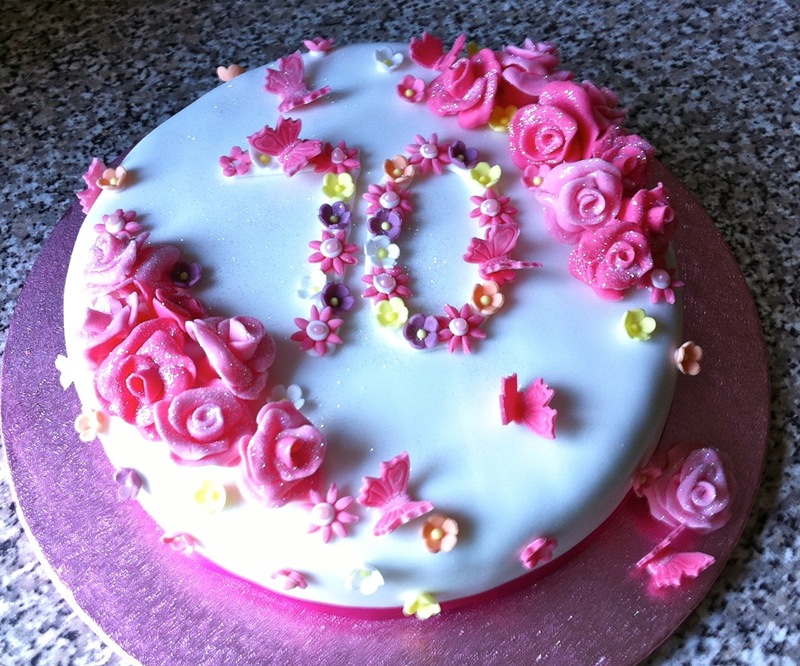 Thank you Irene - it took quite some days to persuade Mark's mum to cut her cake; she took it around to all her friends to show them, but wouldn't let them have a piece! I am doing better thanks, and should be back at work next week.